Yup, that’s my choir there! And yes, just because it’s my birth month, it’s my turn to answer for #KoristaAko! I realised I wasn’t even able to answer these questions for myself, so this should be fun. For those who are not yet aware, Korista Ako has a Facebook Group Community already! Shoot me a private message at www.facebook.com/touringkitty so I could add you up. In my most recent trip last June 2015. So glad to have done this again, and grateful for the opportunity. Name: Mary Louise Macanaya Alcantara. Call me Em, or Touringkitty! Current profession: Musician, educator, homeschooling mom, beautiful wife of a writer/CorpComm Manager/tenor chorister, church volunteer, choral conductor, LATCH Breastfeeding Peer Counselor, Contributing writer (PraySing Ministry, The Master Newsletter), Social Media Manager, part-timer in a lot of things. Choirs joined: Blessed Elena Academy Glee Club (Grade school to high school), Mater Dolorosa Chorale (high school to college), Entwined Voices, Shrine of Jesus Music Ministry, Philippine Madrigal Singers, and many more wherein I was invited to be guest chorister. Why did you join the choir? What was that something or someone that influenced you? : My mom would always sit near the choir when we go to Mass, so that’s probably my first exposure to choral music. The members of a particular group invited me to join them when I was in junior high, and I have been “choiring” for half of my life now. I really am amazed at how many voices can sound good together, and am always in awe when I hear choral music. The artistry, musicianship, hard work put into each chord really is commendable. 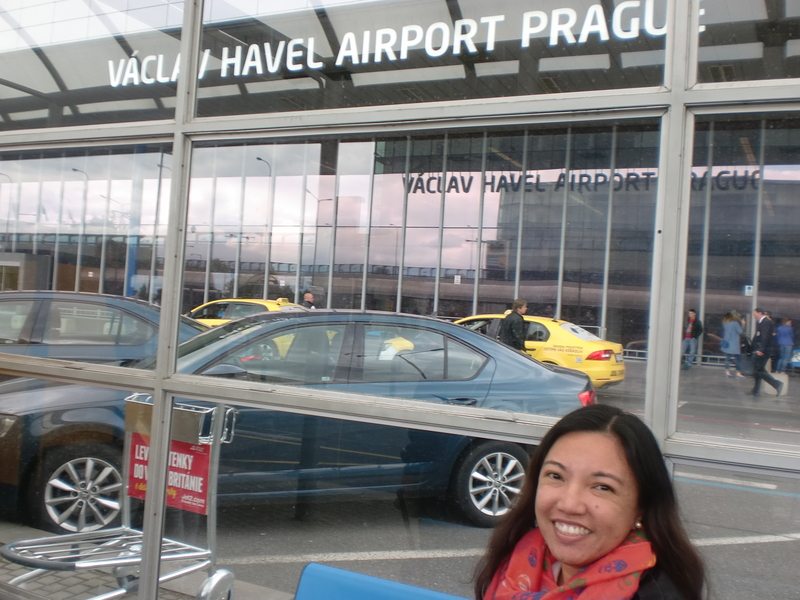 Another perk I got from joining choirs is traveling–for free! I must say, God led me to singing with choirs to experience His wonderful creation, and for that I am very thankful. Our first chorus class in college brought us to Baguio and Laguna for a concert tour of the UP College of Music. Another choir invited me to join their concert in Mindoro, still during college. Then came the Madz, where I was able to travel A LOT (three times in Europe, two in the US and some Asian countries, and all over the Philippines) AND join milestone competitions (and actually winning them!). And just recently, I was invited to join a performing group in a trip to Europe to participate in an important festival in Prague, and concertise in a couple more countries. What is your favourite song arranged or composed for choir and why? : My favourite is Prayer of St. Francis (Delgado). Its arrangement always gets into my heart, and it’s my favourite prayer, too. What was the hardest piece you’ve studied? Probably this one, which we had to memorise! This is A Day in Spring, a Korean contemporary choral music setting. There were quite a number of actions/facial expressions which the composer wanted us to execute. Watch this video and listen how one beautiful spring day sounds like. Any choir/s or vocal ensembles you look up to and why? : Local: Madz, Ateneo Chamber Singers, The Company, among others. Foreign acts: Swingle Singers, King’s Singers, The Real Group, etc. Among the younger ones would include Acapellago, Pentatonix, and Cimorelli. I particularly liked these groups because of their musicality and the varied repertoire they all know. What is your most unforgettable choral moment? : When Sir Mark (Carpio, Madz choirmaster) assigned to me a very important task in the Madz–pitchgiver. We were in the tour already, and were hosted, so he made a call to my hosts’ home phone, and there he told me the beginning pitches of that night’s repertoire. The rest, as they say, is history. I am so grateful for that trust he gave me, despite my fears and doubts and uncertainties. #KoristaAko dahil: Lahat ng Pilipino kayang maging korista! Mas masaya kumanta kapag sama-sama.